They’re lurking out there in diesel fuel tanks: Small particles of debris, too tiny to see, wearing out fuel injectors; water, lying in wait at the bottom, causing corrosion debris, reducing fuel lubricity, and hosting microbes (fungi and bacteria) that feed on the fuel and form filter-plugging slime and corrosive acids; and, finally, assorted byproducts of the fuel-aging process, including asphaltenes, tar-like substances that agglomerate under engine heat and pressure to plug filters and interfere with combustion. These hostile elements have always been working against fuel quality and cleanliness, but keeping them under control has never been more important, because as diesel fuel systems have become increasingly refined to meet emissions regulations, they also have become less tolerant of contamination. Maintaining a diesel vehicle’s fuel system is fundamental, of course, but the concern for fuel quality and cleanliness really needs to be addressed even before placing the nozzle into the vehicle’s tank. How and where fuel is stored—and the precautions observed when receiving bulk fuel, maintaining it in storage, and dispensing it from storage—are critical issues. At the risk of preaching to the choir, the basics of on-vehicle maintenance follow: Replace fuel filters at proper intervals with filters meeting the manufacturer’s exact specifications; drain the primary filter (which separates free water from the fuel) as often as required; follow guidelines for periodically draining water from the fuel tank; keep the tank’s debris screen in place; periodically replace the fuel-tank breather; and use the proper grade of fuel for the ambient temperature. Kelly Carpenter, manager, customer support engineering for John Deere Power Systems, adds that portable tanks are notorious for being neglected and posing a serious threat to fuel cleanliness in the field. According to Howard Chesneau, president, and Ed English, chief chemist, Fuel Quality Services, a company that helps clients with fuel-related machine-operability issues, the diesel fuel a refiner places in the pipeline (most fuel is transported via pipeline in North America) must conform to the ASTM (American Society for Testing and Materials) D975 standard. The standard addresses such parameters as cloud point, water and sediment, viscosity, sulfur, cetane number, and lubricity. Polzer also advises storing bulk fuel inside, if possible, to avoid temperature extremes that cause condensation. Also keep tanks out of direct sunlight if possible, he says, again to minimize condensation and microbial growth. Deere’s Schmidt offers another fundamental caution when storing diesel fuel: “Stay away from galvanized tanks.” Evidence indicates that diesel fuel reacts with zinc and zinc alloys to form unstable compounds that can deposit on the working surfaces of an engine, causing rough running and low power. From a broader perspective, says Chesneau, the cleanliness of fuel must start at the inlet to the storage tank. All of this begs the question, of course, about checking the quality and cleanliness of fuel when it’s delivered, since it was likely stored at the refinery, traveled the pipeline, stored at the terminal, then loaded into the delivery tanker—lots of places to pick up contamination. The reality is, however, that the delivery window is small and allows little time for analysis. Although quick tests are available for checking some aspects of fuel quality, such as the presence of microbial infestation, the consensus seems to be that these tests fall short of providing a timely, complete picture. When fuel is delivered, Chesneau advises placing a sample in a clean white or clear container. The sample should be “clear and bright,” he says, not hazy nor with any floating debris. Deere’s Schmidt also reminds fleet owners to check the certificate of analysis for the fuel, a document attesting that it meets ASTM standards. Among other information, the document provides a formulation date, says Schmidt, which could be an issue with aging biofuel blends. Assuming that storage tanks have been installed on a gradient to allow water to collect at the low end for removal, Donaldson’s Johnson suggests that the cleanliness goal for fuel entering and leaving the storage tank should be—according to ISO 4406 contamination codes—14/13/11, a rating basically required by fuel-injection systems today. (The three numbers are codes classifying the number of particles that are 4 microns and larger, 6 microns and larger, and 14 microns and larger.) Diesel fuel typically might arrive, says Johnson, at 22/21/18. In layman’s terms, dropping from code 22 to code 14 could mean a reduction in 4-micron and larger particles from 4,000,000 to 16,000; code 21 to 13, a reduction from 2,000,000 to 8,000; and code 18 to 11, 250,000 to 2,000. According to Johnson, the 14/13/11 rating is probably the highest cleanliness level that can be measured in the field with instrumentation. It’s spotlessly clean, he says. Achieving that level of cleanliness depends on the filters selected, which can now be rated at 4 microns for bulk applications, says Johnson, and the flow rate becomes a function of the number of parallel filters used. This level of filtration for bulk applications was not available even three years ago, he says, and was developed as the industry recognized the need for super-clean fuel. Once in storage, a primary goal is to keep water out of the tank, which is faciliated by a desiccant breather, which removes moisture and airborne debris from air drawn into the tank as product is removed. Also available are proprietary drying systems, such as the Donaldson Active Reservoir Vent, which blankets fuel with dry air to remove free and emulsified water. 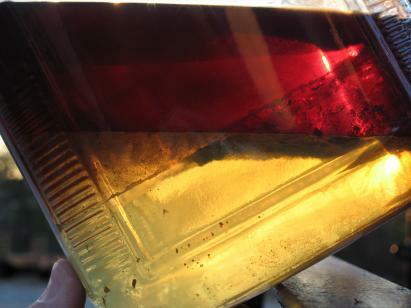 Two other items about diesel fuel cleanliness and quality, each a discussion in itself, should be at least mentioned: tank cleaning and the use of additives in bulk fuel. On the former subject, a number of proprietary systems (and services) are available for cleaning small to moderately sized tanks (both storage and on-vehicle). Most of these systems are based on a process that circulates the tank’s contents through a series of filters, perhaps first removing the mass of water and sludge at the bottom of the tank before initiating the filtering or “polishing” phase. Chesneau, who began his carrer in fuel-quality management by “mucking out tanks,” says that cleaning a tank properly is difficult, and he cautions fleet owners to evaluate the claims for cleaning equipment and services. Cleaning generally is required, he says, when contamination levels reach an unacceptable level, such as plugging filters at an “alarming rate,” or when mandated by governmental regulation in some industries. Concerning the treatment of bulk fuel with additives, engine and equipment makers generally agree that using a biocide to control microbial growth is good practice, and some advise treatment twice yearly. Some biocides, such as Microbicide from Cummins Filtration, are designed as a “dual phase fuel preservative that concentrates in the water phase and partitions in the fuel phase,” a characteristic that helps keeps the additive at the water/fuel interface, where microbial growth occurs. It’s best to consult with the manufacturers of your equipment and engines about using additives, especially if fuel-related problems are being encountered.